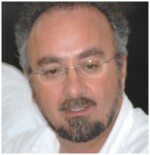 Dr George Vekinis is a Research Director at the Institute of Nanoscience and Nanotechnology of NCSR “Demokritos”. In the past he worked as a lecturer and researcher in Johannesburg and Pretoria, South Africa and at Cambridge University. His current research interests include nanostructured industrial catalysts, advanced protection and propulsion systems for Spacecraft, industrial microwave processing and high energy armour composites. He has led or participated in numerous RD projects funded by national agencies, the European Commission, the European Space Agency and industrial companies and has published or presented over 150 papers and presentations. He is also a visiting lecturer at the Department of Physics of the Aristoetelian University of Thessaloniki, the current President of the Hellenic Society of Science and Technology of Condensed Matter, President of a spin-off company and a Senior Consultant on Exploitation and Commercialisation Strategy and Technology Transfer for the European Commission. In 2014 he published the book “Technology Transfer in Practice: from Invention to Innovation”. Space Exploration is a field characterised by extremes of temperature, a fact which pushes many materials to their performance limits. For example, the combustion temperature in solid or liquid rocket boosters reaches 3000oC while a space capsule re-entering the earth’s atmosphere after a high-speed space mission can experience heat fluxes that would easily evaporate it – just like a meteorite – if it were not for protective heat-shields. – The “HybridTPS”, a rigid, MgO-based and phenolic-filled Thermal Protection System (TPS) for the heat shield of re-entry vehicles offering both active (ablation) and passive (refractory) protection with the advantage of minimum distortion during recession (ESA). The laboratory is also involved in the H2020 project IRENA which has the objective of preparing a space technology demonstrator mission to test these and other high-temperature technologies in 2016-2017.